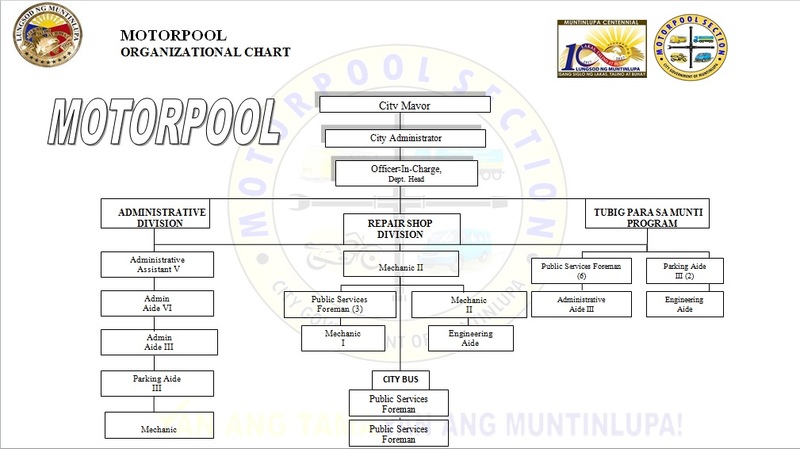 We envisioned the Motorpool to become an institution with state of the art facilities within the City of Muntinlupa with integrity in the repairs and maintenance of Local Government Vehicles and equipment under the rule of transparency and accountability. 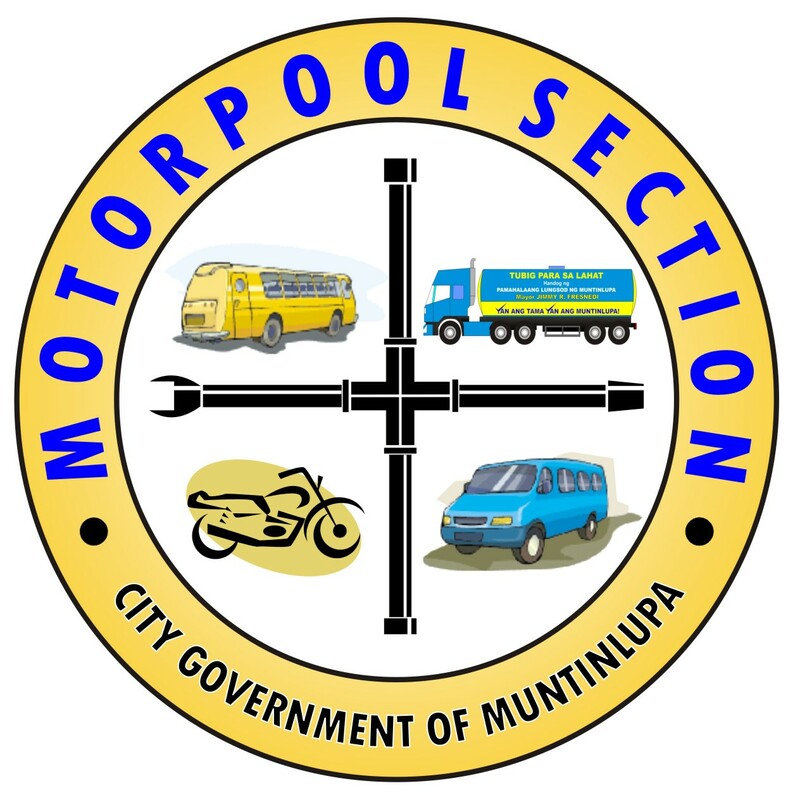 To provide repair and maintenance of ground vehicles and equipment of the Local Government of Muntinlupa. To maintain a pool of skilled personnel who values equality, dignity in labor, team effort, safety environment, excellent and high quality service. To operate water source storage and truck tankers for emergency water supply in the 9 barangays of Muntinlupa to support various City Mayor’s Project and support firefighting and calamity operation. 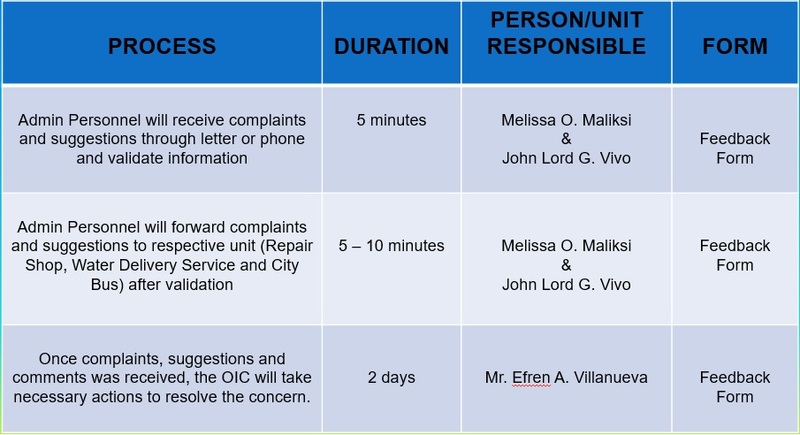 To dispatch City Bus and other passenger vehicles to cater the transportation need of the constituents especially the elderly.